On Japanese-Whisky.com we are not talking exclusively about japanese whisky, and today we'll give you a good plan if you're hungry and if you are or will be visiting Japan and specifically Tokyo. Let's discover a traditional sushi, sashimi and maki restaurant, tested and approved during a previous stay in the city ! A japanese whisky caramel cream ! 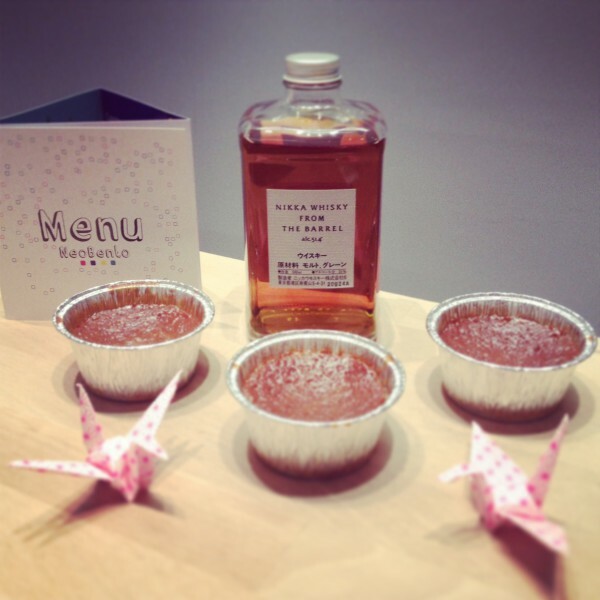 NeoBento restaurant in Paris called upon Uisuki to develop a dessert with Japanese whisky. Here comes the exclusive Nikka whisky "From the barrel" caramel cream !